Climbed Pikes Peak in the snow! Z & I Climbed Pikes Peak Again! 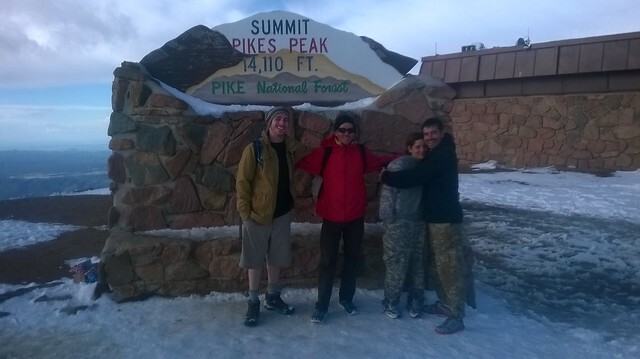 Despite heading up with a first-time hiker (Dillon, in tan/gray), losing the trail multiple times, Z (in full digital camo) demonstrating signs of Hypoxia & finding a semi-lost cyclist named Shawn (in red) we powered up Barr trail blazing the last two miles due to snow cover! Checkout the full photo set on Flickr!